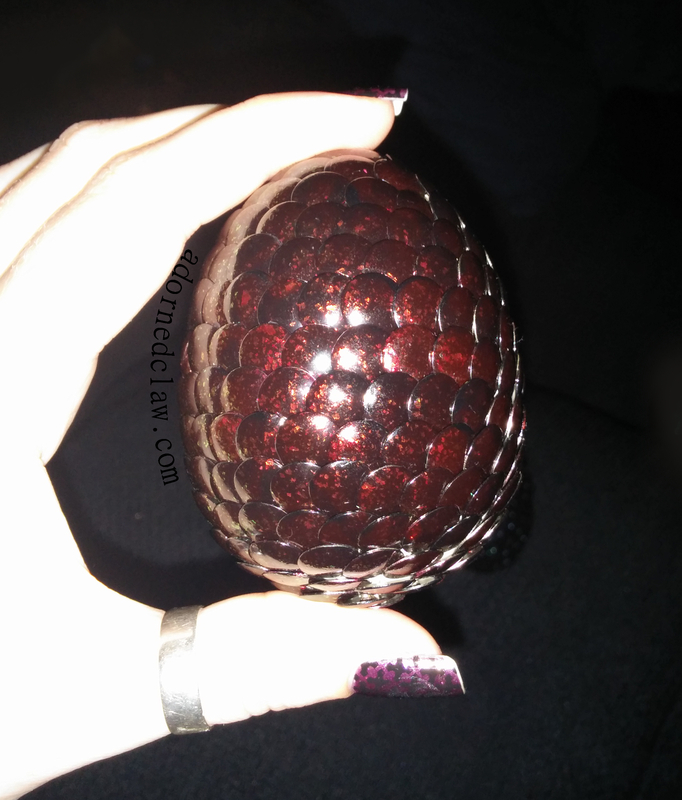 Today I have a nest of nail polish dragon eggs to show you! The eggs take a long time to make but I think the end result is worth it! 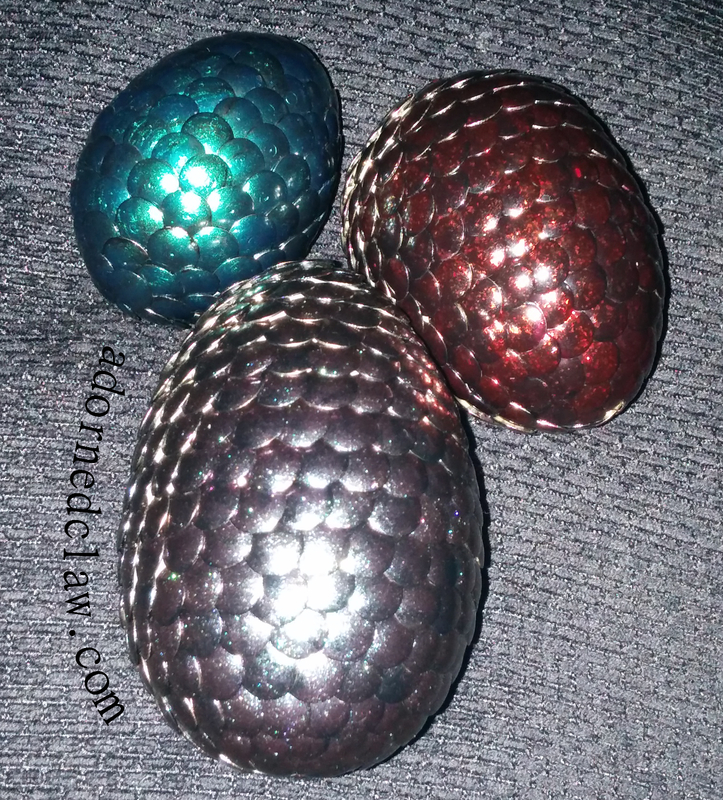 All you need for these are polystyrene egg forms, you can pick these up in most craft shops, Mine cost £2 for six, Drawing pins (or thumb tacks if your in the US) I picked mine up from Poundland. 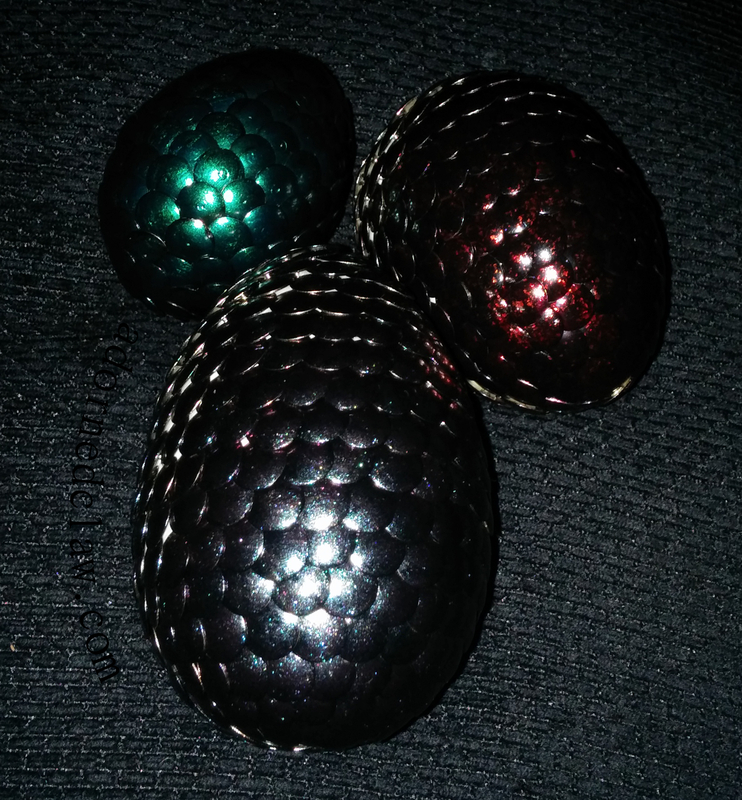 For these three eggs I used up just under 800 pins! I picked up some cheep black Laval polish (I didn’t want to use up of my nice/expensive ones on this) and used that to apply two coats to each pin, after the first coat I realized my mistake… I had to open all the windows, the Laval polish has a very VERY strong chemical smell. It might have just been the amount I was using but it was close to eye wateringly strong! 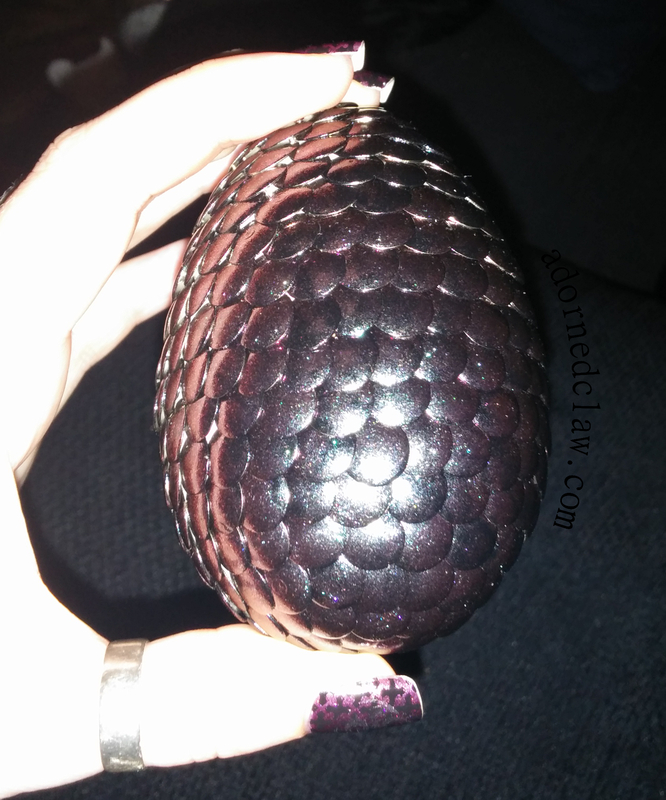 For this egg I added a thick coat of purple blue from Models Own over the black, This one took the most pins to make around 350! 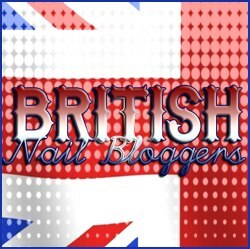 and I used up nearly a quarter of the models own bottle oO Lucky I have quite a few polishes similar to this one! This little one was the last one I made, If I make any more I’m going to stick with this size! 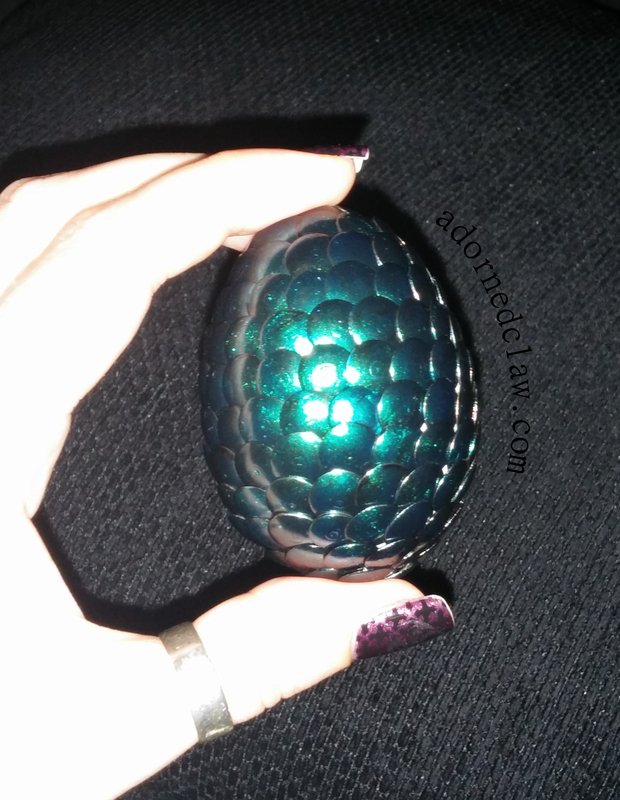 The Teal polish is Pixie from Jess. Looking at the picture I’m thinking I should have added another couple of coats of black to the pins as the teal polish is rather sheer so the manufacturing marks on the pin head are showing through!